A visitor who wants to visit the Netherlands (Holland) for the purpose of tourism and sightseeing may require a visa depending on his or her nationality. Such a visa is known as ‘Schengen visa’. It is also known as short stay visa (VKV) or ‘type C’ visa. It is valid for up to 90 days. Since the Netherlands is a member of the Schengen Agreement, it follows the common visa rules applicable to all Schengen countries. In other words, the Schengen visa is valid for all the European states that are part of the Schengen agreement, including the Netherlands. This means that a visitor who is issued the Schengen visa can travel and stay not only in the Netherlands, but in all the 26 countries that participate in the Schengen Agreement. If a visitor wants to stay in the Netherlands for more than 90 days, he or she will have to apply for a national long-stay visa or a residence permit. You must provide proof of your financial ability so as to support yourself monetarily during your entire period of study in the Netherlands and for your return transportation. The Dutch Ministry of Justice requires you to have a minimum of EUR 34 (INR 2,414.92)* per day for staying in the Netherlands. Your first step is to obtain the Visa Application Form. You can access the application form through the internet and download it. Fill in the details required in the visa application form carefully and put your signature on the completed application form. For submission of the visa application at a Dutch Embassy or Consulate you must make a check list of the documents that you need to submit along with your application form. Gather all the documents and keep them ready for submission. Provide two copies of your recent colour photograph along with your visa application. Make sure that your photograph matches or corresponds to all the photo specifications required for visa application. In any case, your photograph must not be more than 6 months old. Check the fees required for processing your visa application. Keep the fee ready for submission along with your visa application form. Schedule an appointment at your selected Dutch Consulate to submit your visa application form. Note that you will have to submit your application form personally along with all the required documents. Submit your visa application form along with the required documents and application fees at the Dutch Consulate. You can either pay in cash or use a credit card or a debit card to pay for the visa application fee. Generally an interview is not compulsory. However, if an interview is required, you will be notified when you submit your application or through a phone call. You can collect your visa directly from the Dutch Embassy or can have it delivered to you through courier service. Your stay must not exceed 90 days in total. You must give satisfactory reasons for wanting to extend your visa, and you must present documents showing that you cannot return to your country of origin before your visa period ends. 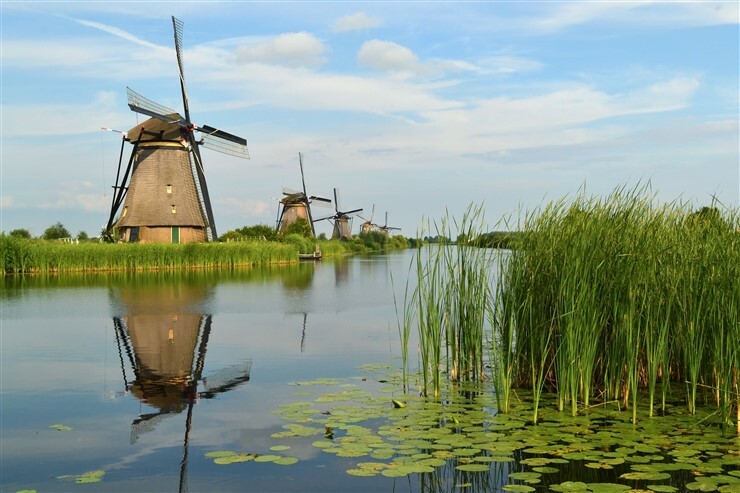 You must have enough money to support yourself as long as you remain in the Netherlands; or you must have someone in the Netherlands who can stand surety on your behalf. You must remain covered by healthcare and/or travel insurance. Your passport must be valid for at least a further six months. There must be no indications that you have other reasons for extending your visa, such as the intention to settle illegally in the Netherlands.